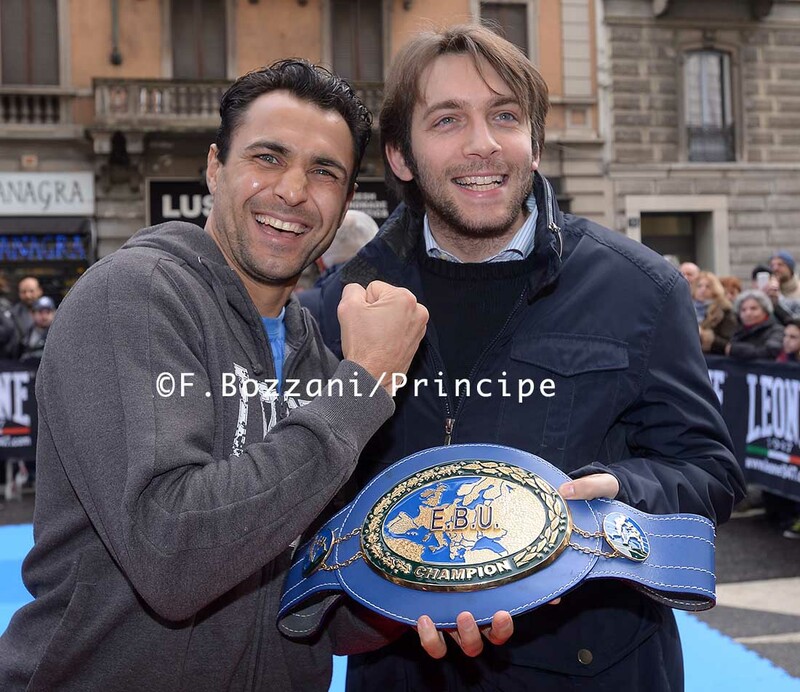 Promoted by Salvatore Cherchi's OPI 2000 in association with Principe Boxing Events led by Alessandro Cherchi. 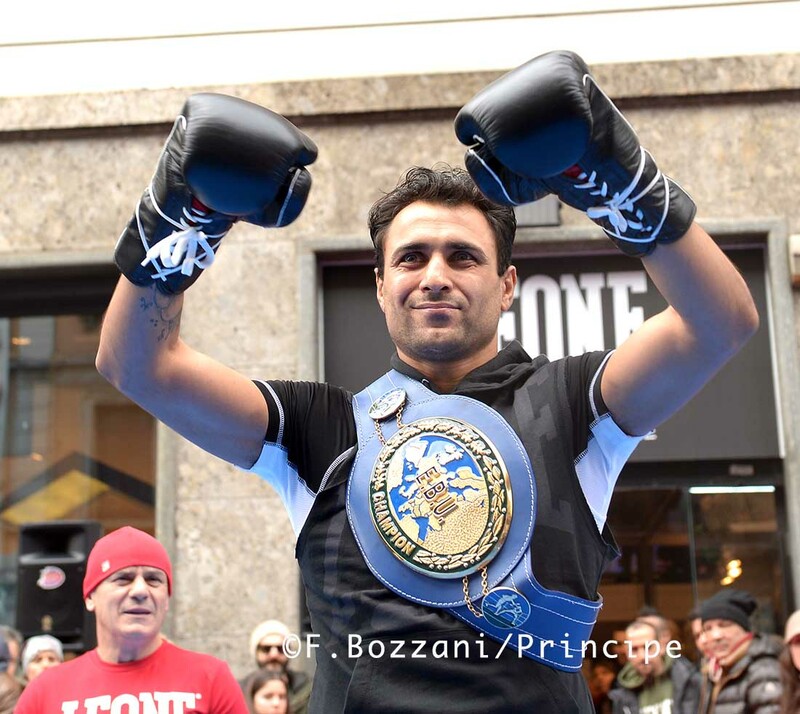 Yesterday, Sunday February 22, European super lightweight champion Michele Di Rocco had a public workout in Milan, Italy promoted by Salvatore Cherchi’s OPI 2000 in association with Principe Boxing Events led by Alessandro Cherchi. 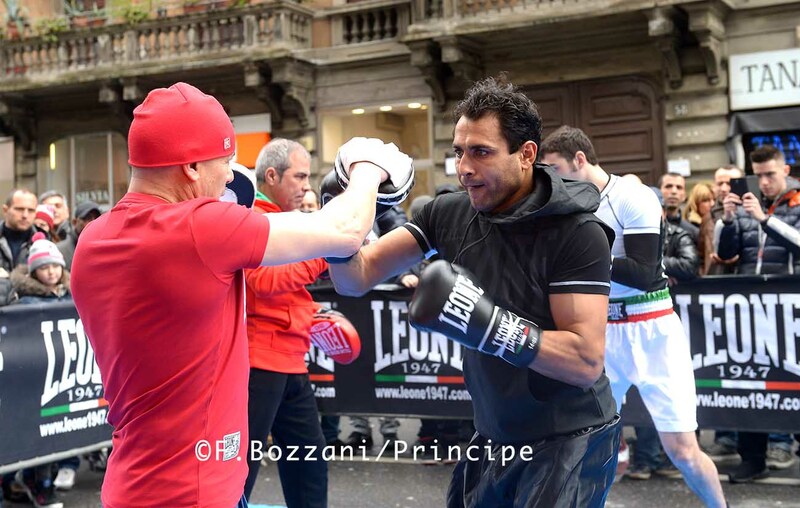 That was the first time that Milan hosted a boxing champion’s public workout. The event took place in front of the temporary store of Leone 1947 in downtown Corso Buenos Aires and hundreds of people stopped by. “I’m very happy about it – Alessandro Cherchi said – and about all the journalists and photographers that showed up. 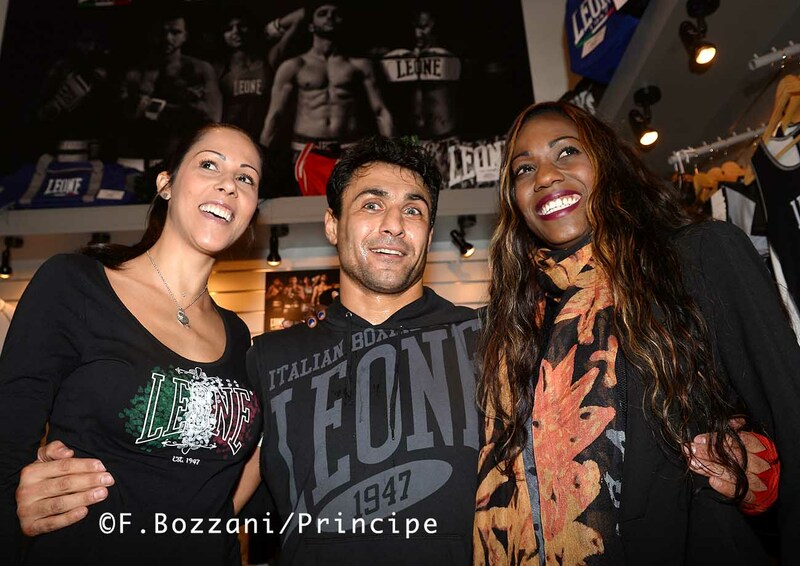 Even city councilman Pierfrancesco Maran (pictured below with Di Rocco) came to the public workout and posed for a photo with Michele. 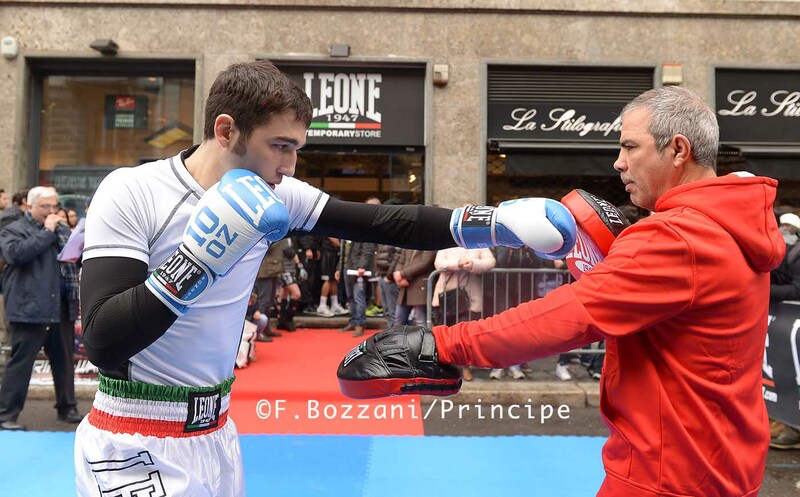 Di Rocco was joined by former Italian super lightweight champion Renato De Donato (pictured below with his trainer Aniello Iovino) and a group of rising fighters: Matteo Rondena, Catalin Paraschiveanu and Alessio Taverniti. 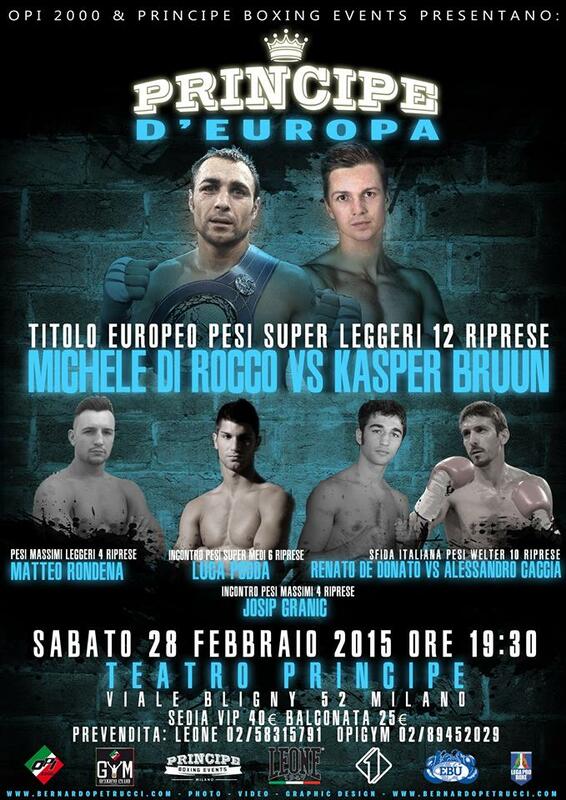 On February 28, Michele Di Rocco will defend his Euro title at Principe theater in Milan against Kasper Bruun.